EvoExhibits was once again recognized at the annual BeMatrix Awards at ExhibitorLive 2017. 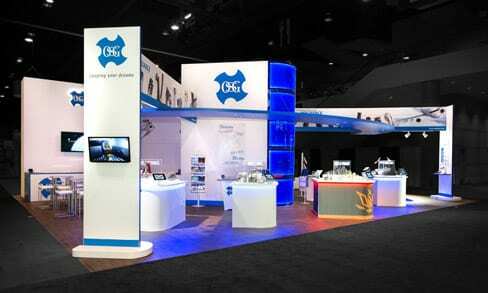 Even though the competition continues to increase along with the number of entries, our team was honored as finalists in two categories, ‘Best Design Greater Than 600 sq. ft. 2016‘ and ‘Best Hybrid Design 2016’. 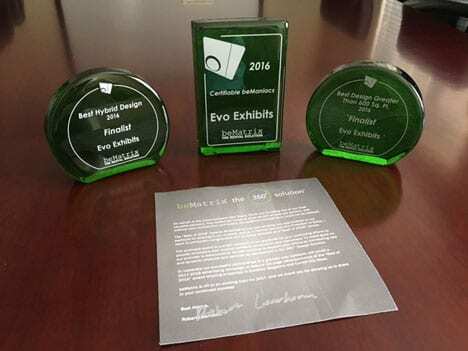 The 2016 Certifiable beManiac was awarded to our team for achieving multiple exhibit design finalists. This is only part of Evo’s continual pursuit for exhibit innovation and excellence in the events industry. 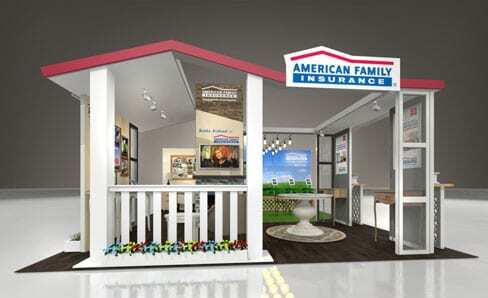 Get in touch today to start brainstorming your own award-winning booth!